I began writing in 1996, following a 20-year career in investigations and law enforcement in New York State. I currently have six fiction and three non-fiction books published. 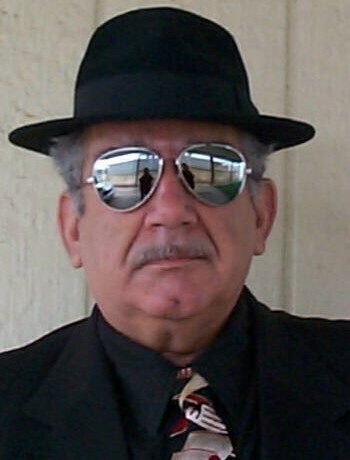 My non-fictions are about Las Vegas police and organized crime history. My latest release (July 1, 2007) is CULLOTTA – The Life of a Chicago Criminal, Las Vegas Mobster, and Government Witness. If you’re a Vegas enthusiast or a fan of the movie Casino, you’ll enjoy reading CULLOTTA. I’m contacting you about the upcoming virtual book tour to promote Tony Napoli’s new book My Father, My Don: A Son’s Journey from Organized Crime to Sobriety. I am searching for sites that discuss specific topics and which reach specific audiences. Hosting a touring author is very easy; you can ask the author interview questions, post an excerpt from the book or ask the author to write a guest post about a specific element of the book. Then we find a date for you to post their information. In return, I promote your blog as part of the tour and this can generate new traffic for your blog. We can work with blogs, websites, newsletters, radio shows and just about anything else that will provide us with a URL that people can visit on a specific date. I would enjoy the opportunity to discuss some possibilities with you. Please, contact me if you’re interested..
I’m Rachel Adams from Pokerjunkie.com, an established online poker forum. I always visit your and I must admit that I learn a lot of interesting facts from your site. I actually have a proposal that would be favorable to your site. I’m wondering if this is this the right person to contact regarding this matter? If so, then please get back to me so that we can discuss about it more further. Yes, I’m the right person to talk with. You can email me at griff1945@hotmail.com. Hey very nice website!! Guy .. Beautiful . I might move to Hawaii and after that travel the entire world. Please help me to find peace and justice for my son’s suspicious death. Email me at griff1945@hotmail.com with a synopsis of what happened.